Art Pepper (Arthur Edward Pepper Jr., Gardena, California, September 1, 1925 ? Los Angeles, California, June 15, 1982), was an American alto saxophonist. He began his career in the 1940s, playing with Benny Carter and Stan Kenton (1946-52). By the 1950s Pepper was recognized as one of the leading alto saxophonists in jazz, epitomized by his finishing second only to Charlie Parker as Best Alto Saxophonist in the Down Beat magazine Readers Poll of 1952. He began his career in the 1940s, playing with Benny Carter and Stan Kenton (1946-52). By the 1950s Pepper was recognized as one of the leading alto saxophonists in jazz, epitomized by his finishing second only to Charlie Parker as Best Alto Saxophonist in the Down Beat magazine Readers Poll of 1952. 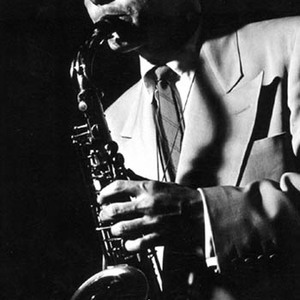 Along with Chet Baker, Gerry Mulligan and Shelly Manne, and perhaps due more to geography than playing style, Pepper is often associated with the musical movement known as West Coast jazz, as contrasted with the East Coast (or "hot") jazz associated with Charlie Parker and Dizzy Gillespie. Pepper was a member of Buddy Rich's Big Band from 1968 to 1969, and in 1977 and 1978 made two well received tours of Japan. Perhaps most famous for his recurring legal transgressions, stemming from his addiction to heroin, Pepper had several memorable and productive "comebacks" throughout his career. Remarkably, his substance abuse and legal travails did not affect the quality of his recordings, which maintained a high level of musicianship throughout his career until his death from a brain hemorrhage. Examples of Pepper's most famous albums from this period are Art Pepper Meets the Rhythm Section, Art Pepper + Eleven - Modern Jazz Classics, Gettin' Together, and Smack Up. Representative music from this time appears on The Aladdin Recordings (three volumes), The Early Show, The Late Show, The Complete Surf Ride, and The Way It Was!, which features a session recorded with Warne Marsh. Pepper lived for many years in the hills of Echo Park, in Los Angeles. He had become a heroin addict in the 1940s, and his career was interrupted by drug-related prison sentences in 1954?56, 1960-61, 1961-64 and 1964-65; the final two sentences were served in San Quentin. In the late 1960s Pepper spent time in Synanon, a drug rehabilitation group. After beginning methadone therapy in the mid-1970s, Art had a musical comeback and recorded a series of highly acclaimed albums. Albums from this later period include Living Legend, Art Pepper Today, Among Friends, and Live in Japan: Vol. 2. His autobiography, Straight Life (1980) (transcribed by his third wife Laurie Pepper), is a unique exploration into the jazz music world, as well as drug and criminal subcultures of mid-20th century California. The documentary film Art Pepper: Notes from a Jazz Survivor, available on DVD, devotes much space to music from one of his late groups featuring pianist Milcho Leviev. There is also an interview with Laurie Pepper available on NPR.